TURF dancing is a dance form that originated in Oakland. 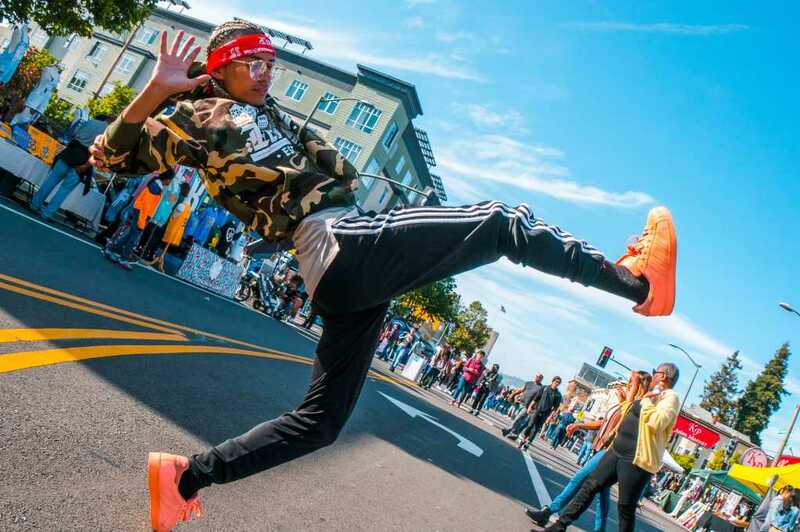 TURFinc has created a platform for inner city kids to learn the fundamentals of TURF dancing and has given them an engaging, exciting way to keep the youth off of the streets in order to give them a fighting chance in the world. The overall goal of TURFinc is to take this powerful dance style that is changing lives beyond the streets and into a safe, positive environment where dancers and the youth have the opportunity to showcase and share their story and skills with a broader audience. You can see TURFinc perform every month at First Fridays, as well as other select shows throughout California and beyond.